They are some of the finest athletes in collegiate sports: Alaina Bergsma, AVCA National Player of the Year; Jillian Alleyne, third all-time in collegiate basketball double-doubles; Liz Brenner, multisport All-American and finalist for the Sports Illustrated College Athlete of the Year; Laura Roesler, winner of the Bowerman Award; and Courtney Ceo who led the nation in hitting last year. Two things unite these players: First, they’re all Ducks and second, they’re all women. In 1970 when I was a student at Oregon, my friend Cindy Voelker started at the point for the women’s basketball team. Back then, “girl’s basketball” was little more than a club sport. They played their games in a musty gym in the basement of Gerlinger Hall, six players to a side, no fanfare nor any fans for that matter. Things were still stagnant in 1980 when Duck runner LeAnn Warren made the Olympic team. Women were barred from competing in any Olympic race longer than1500 meters. What a difference 45 years have made; now Oregon women’s teams routinely compete for national championships. As far as women’s sports have come at Oregon, there’s more to be done. A new program, Women in Flight, has been created to promote Oregon women’s sports. 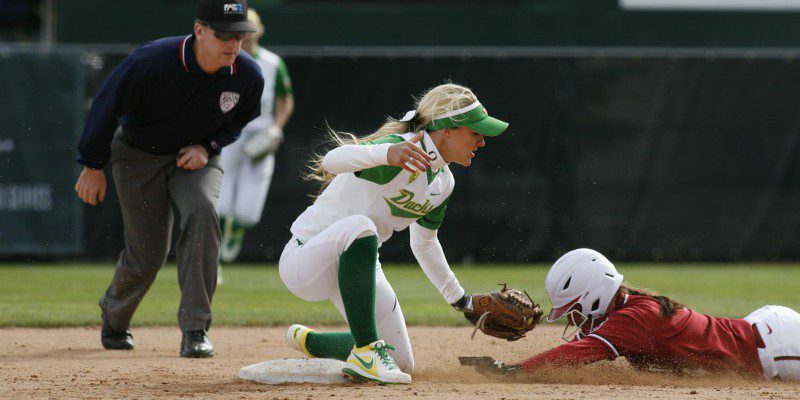 Duck alum and softball player, Janelle Bergstrom Cook has returned to the University of Oregon to lead the initiative. For as little as a $50 donation to Women in Flight, you can help promote women’s sports and Oregon and gain priority seating for reserved seats in the new Jane Sanders softball field. Sport just isn’t about the men. The women’s program at Oregon is a model for the nation, but there’s more to do and you can help; contribute now.